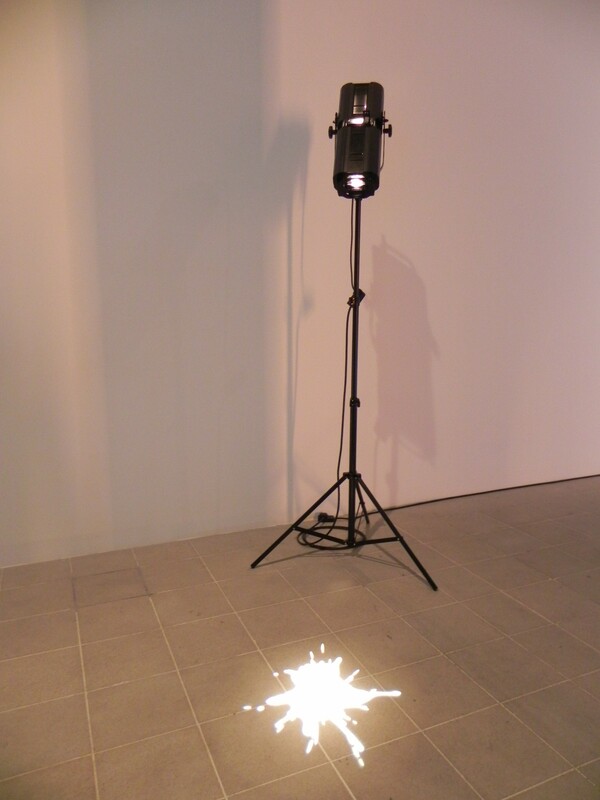 I defy even the most hardened hater of contemporary art not to enjoy Light Show now showing at the Hayward Gallery. It is like a theme park for adults, although, coming to think of it, I’m sure most children would love it too. It has all the colour and all the fun of the fair and it doesn’t jiggle you about, except perhaps your eyes a bit, and it doesn’t turn you upside down, well only figuratively. There are over 20 works in the exhibition; these are just a few of them. Do go and see it and take an art hating friend. Leo Villareal’s Cylinder II does everything you want it to; the lights change in complex ways so that you are constantly seeing different patterns and combinations. 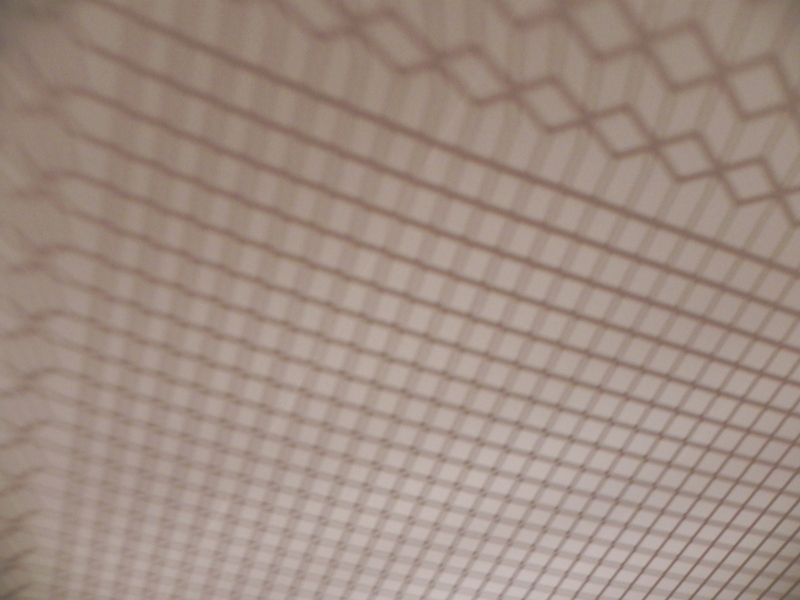 As there are 19,000 of them, there is apparently no fixed sequence and no beginning or end. 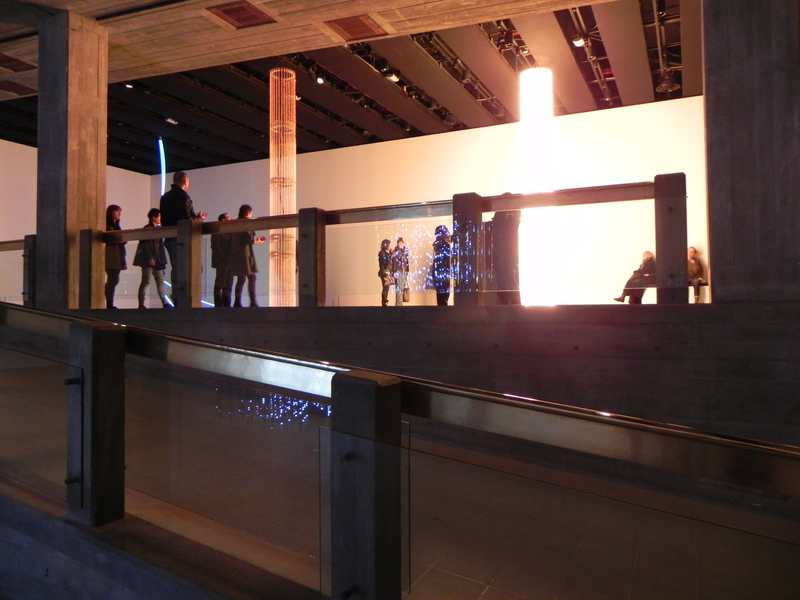 Satisfyingly they also reflect in the glass balustrades of the walkways turning them into artworks as well. Ceal Floyer’s Throw is an extraordinarily simple concept but also hugely effective. 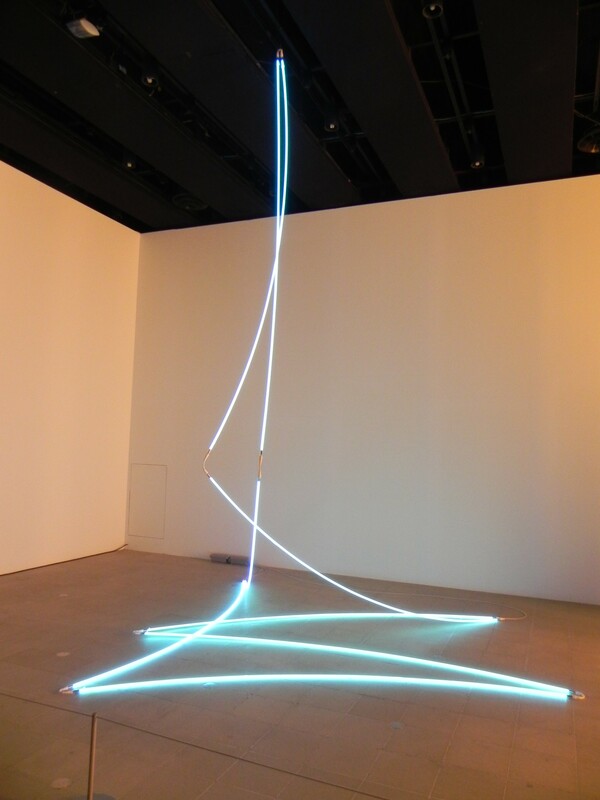 A splodge of light is projected on the floor like fallen paint from a tin. If you can paint with light, it stands to reason you can spill it too. I first saw Cerith Wyn Evans’ Superstructure at the De La Warr Pavilion on a freezing cold day when the fact that the pillars alternatively lit up and radiated heat was especially welcome. The only sculpture in the display that I noticed used heat, it made me wonder, as it had before, how else heat could be incorporated into artworks. I also wondered, rather prosaically perhaps, about the cost of the electricity bill. I mentioned that the exhibition was like a theme park and one of the effects of that, I found, was that my inner child increasingly wanted the artworks to do tricks – to move, to heat up or at least to flicker. 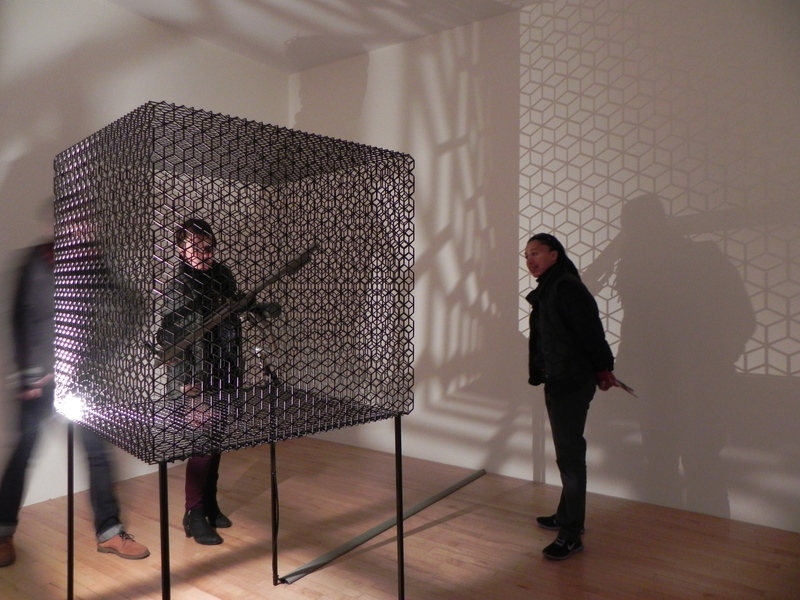 This one, Slow Arc Inside a Cube IV by Conrad Shawcross, therefore really performed; a moving light revolving in this intricate grid casts ever-changing shadows on the walls, floor ceiling and viewers. It is apparently about the process of mapping the molecular structure of insulin by crystal radiography. You don’t need to know that to enjoy it; the changing patterns are themselves mesmerising. 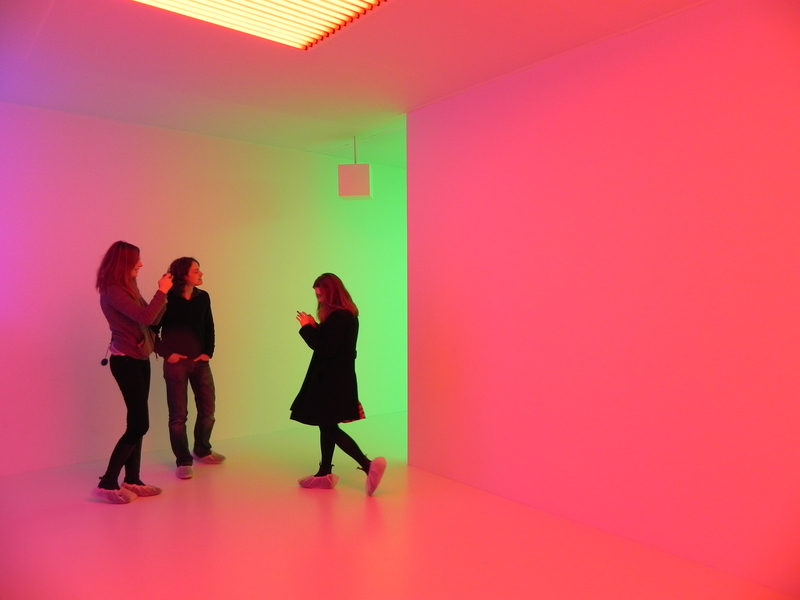 Carlos Cruz-Diez has created 84 Chromosaturation installations to date; about a year ago I saw one in Paris. I didn’t realise that time the way that it could cause visual disturbances I was just struck by the colours. This time I gave it long enough and began to experience the colour in a different way and see it as more solid and somehow filling the space, like floaters in the eye – or perhaps I became aware of floaters that were there all the time. The effect was not totally pleasant but certainly interesting. When it came to disturbed perceptions it was Olafur Eliasson’s Model for a Timeless Garden which was the clear winner. For once visitors to the exhibition were on their own to touch or not touch the artwork as they chose. No attendant could stay in the room very long. 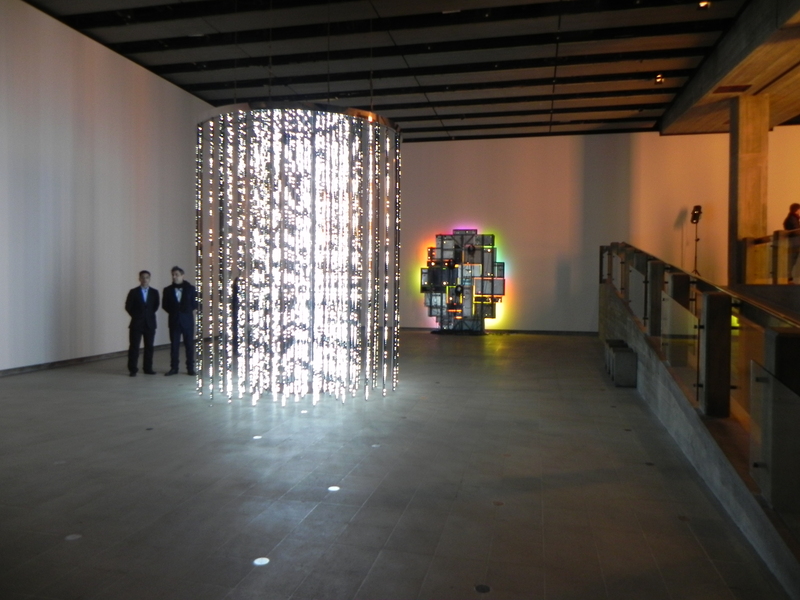 Eliasson who also created the Weather Project at Tate Modern in 2oo3, has illuminated a series of fountains with strobe lighting. 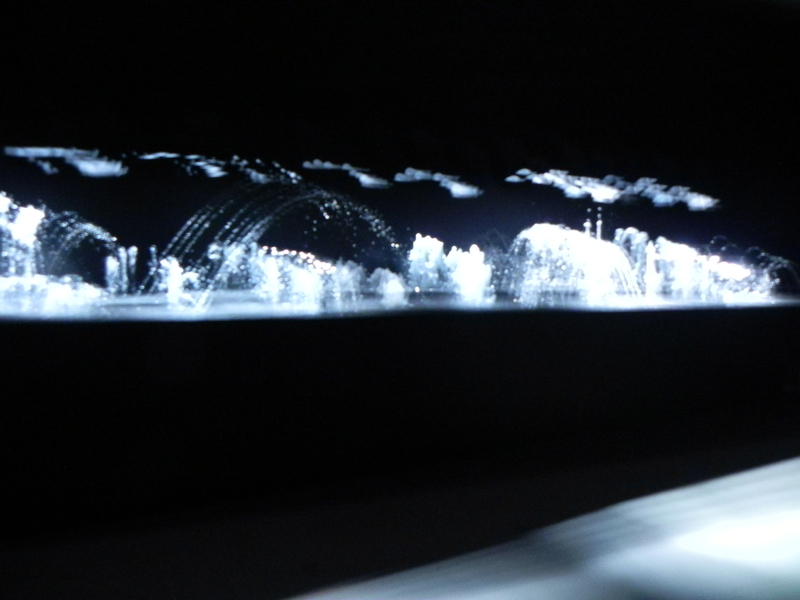 The effect was to create a series of sculptures as the water was momentarily frozen in time, creating a series of different forms. It was fascinating but for me it had the effect of giving me a strange sensation in my ears. This seemed to have no rational reason – my eyes I could have understood, but why the ears? Not only contemporary but surreal.